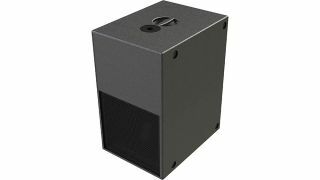 The What: Danley has launched the TH-Mini15, a compact subwoofer with a single 15-inch driver, a larger version of the Danley TH-Mini (which uses a single 12-inch driver). The What Else: The Danley TH-Mini15 boasts powerful bass reproduction down to 50Hz, with sensitivity measuring 105dB and maximum output measuring 132dB continuous and 135dB program. The Bottom Line: Weighing 100 pounds in a 30-by-18-by-24-inch enclosure, the Danley TH-Mini15 is well suited both for pack-and-go live situations and for fixed installations where space is at a premium.